What is usually thought of as Spain had no constitutional identity until 1808. The style Monarquía Española gradually came into use for the whole complex, while several of the component units maintained (in some cases fanatically) their political identity, with their own Cortes, their own charters of rights (fueros), etc. The framers of the 1978 Constitution had to deal with many controversial issues arising from the advent of democracy to a nation that had been under dictatorial control for decades. Among these, the most divisive was the historically sensitive question of regional autonomy. 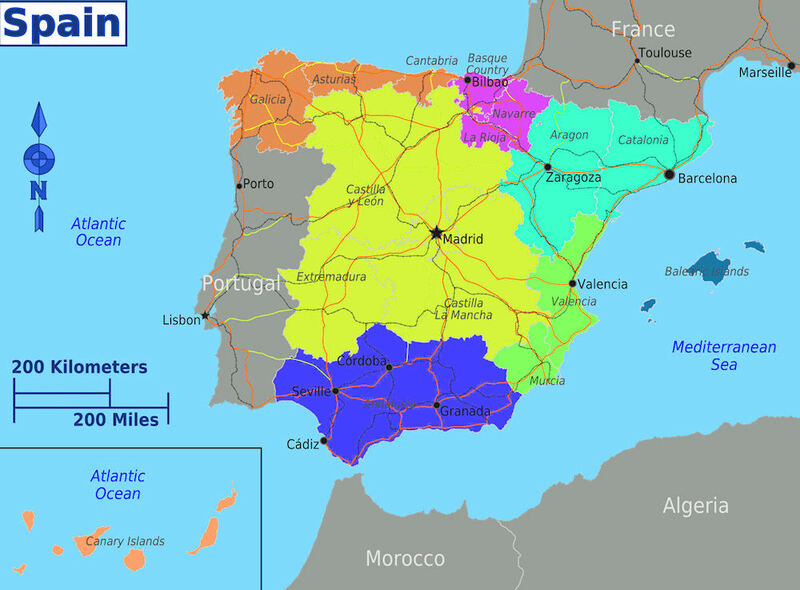 The Spanish state is unusual in the extent and the depth of its regional differences, and the society includes ethnic groups--notably the Basques, Catalans, and Galicians--that are each culturally and linguistically distinct from the rest of the country (see Ethnicity and Language , ch. 2). The strength of regional feeling is such that, in many areas, Spaniards identify more closely with their region than they do with the nation. The Constitution provides two procedures for achieving regional autonomy. The rapid procedure was for those regions that had sought autonomy in the 1930s. After approval by the Constitutional Committee of the Congress of Deputies, the proposal for autonomy was voted on in a regional referendum. The "historic nationalities" of Galicia, the Basque Country, and Catalonia acquired regional autonomy in this way. The slow procedure required initiative on the part of municipal and provincial governments as well as final approval by the Cortes, for a degree of regional autonomy less than that enjoyed by the "historic nationalities." 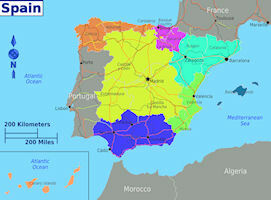 A compromise procedure was devised for Andalusia because, although it had not sought regional autonomy earlier, there was widespread support for such autonomy among its inhabitants. Although the communities employing the rapid procedure gained a greater degree of autonomy than the other communities for the time being, ultimately--although probably not until sometimes in the 1990s--all were to have an equal degree of autonomy. The areas enumerated as belonging under the exclusive jurisdiction of the national government include international affairs; defense; justice; criminal, commercial, and labor legislation; merchant shipping; civil aviation; foreign trade and tariffs; economic planning; finances; and public safety. Whereas the central government clearly is granted exclusive jurisdiction in these and in other matters, the provision that sets forth the rights of the autonomous communities is stated in less precise language. It declares that these communities may assume authority--a more equivocal mandate--over certain areas. These include the organization of their own institutions of self- government, municipal boundaries, town planning, housing, public works, forestry, environmental protection, cultural affairs and organizations, tourism, sports and leisure events, social welfare, health and hygiene, and noncommercial ports and airports. In addition, the state may delegate to the communities part of its authority in areas reserved to its jurisdiction. Therefore, although the regions have very limited primary authority, the Constitution permits the extension of this authority by subsequent delegation.